REMINDER: Only 2 months away! 4 Track meets in 7 days. If the rain holds out, and you get a decent tailwind for the sprints, these high performance meet may be a good tune up for the Trials. The PacifiCanada Track and Field Series provides International and Olympic level competition for track and field athletes. The track series is situated on Canada’s beautiful West Coast and will be held in four different cities in the province of British Columbia. Athletes will compete for cash prizes awarded to the overall series winners. 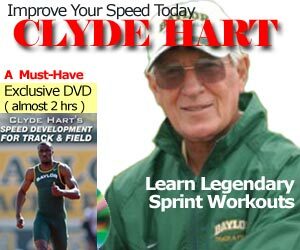 Speedendurance.com will have exclusive coverage and videos from these events, so stay tuned!